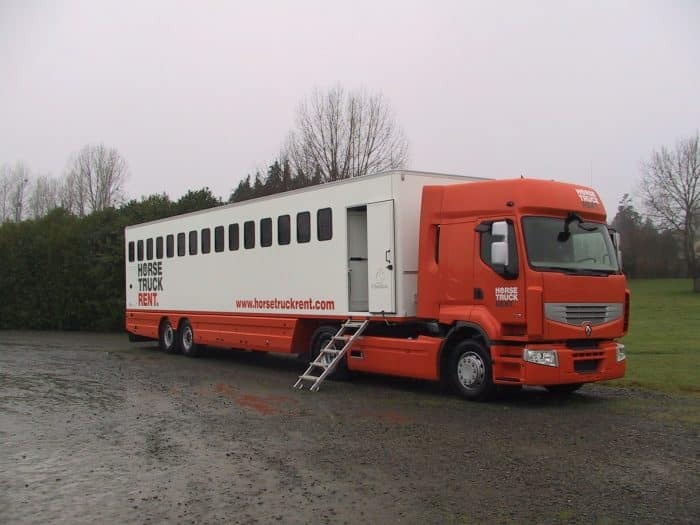 Heavy truck for the transport of 7 horses based on Scania. 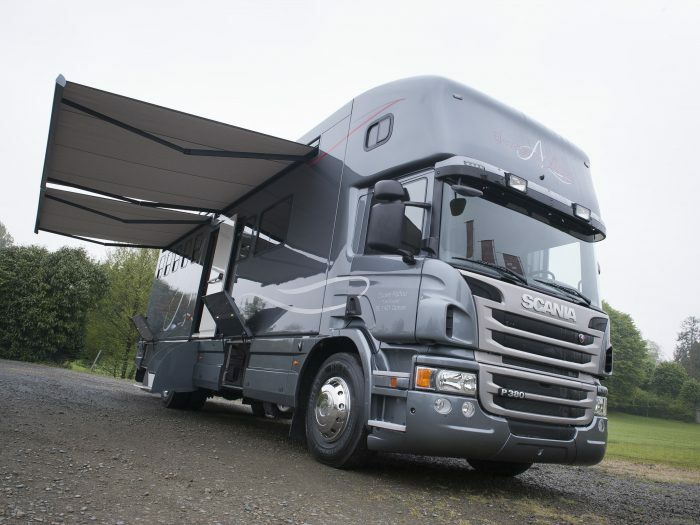 Heavy trucks for the transport of 6 horses based on Scania. 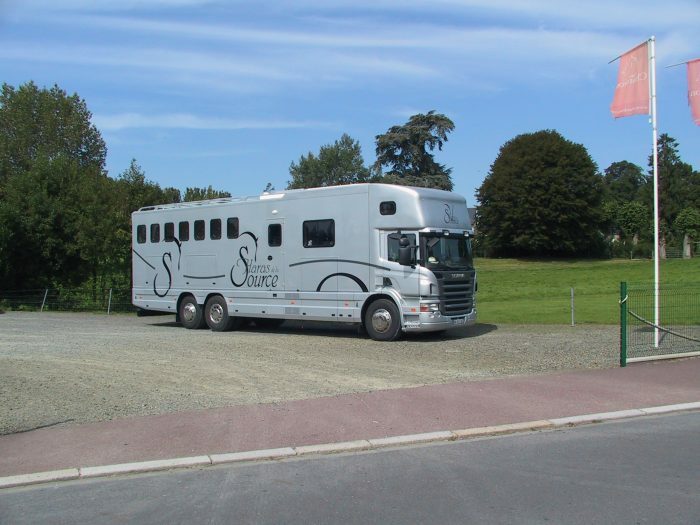 Heavy truck for the transport of 15 horses based on Renault. 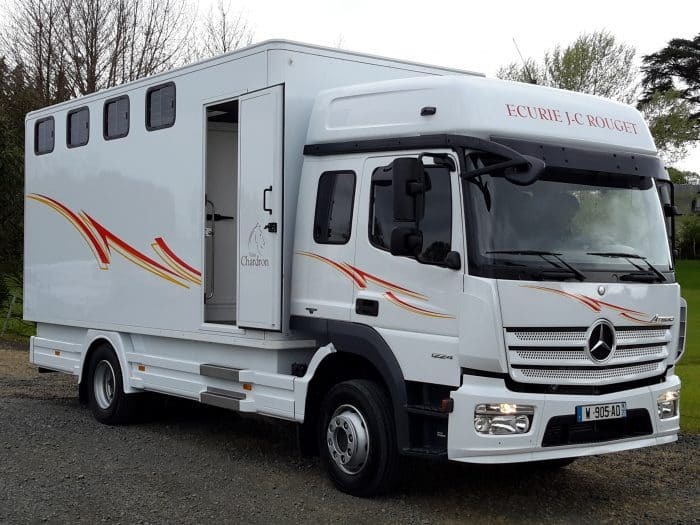 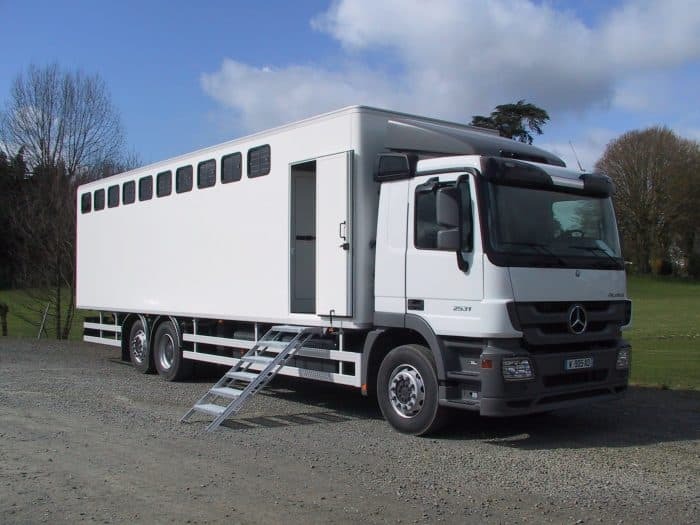 Heavy truck for the transport of 4 horses based on Mercedes. 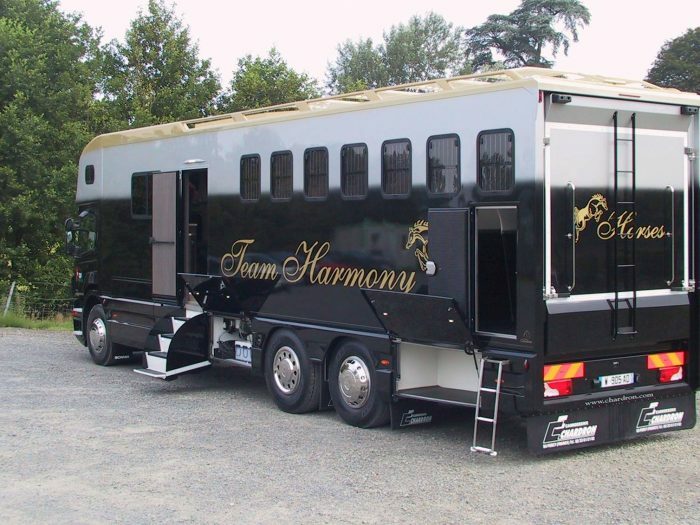 Heavy truck for the transport of 10 horses based on Mercedes.